Micromax, Lava, Spice, Zen, Karbonn and many other Indian handset brands are making more than a mark in the market today. They have together occupied more than 14% market share. The best part for them is that this has been at the cost of certain brands specifically Nokia losing its market share by more than 12% over the past year. So the question is what makes them tick and will they be able to survive? Most of these handsets can be sourced from China at as low as US$ 16 with a 1% duty and at prices half that of the multinational brands. The cheapest handset also offers a good margin. But competition is increasing thick and fast. The question remains as to how well these brands differentiate their offerings. But at the end of the day, the biggest factor which attracts people is the price. Before Micromax came with its QWERTY phone for Rs 5,000, such phones weren’t available for less than Rs 10,000. Lava as well as Micromax is working overtime to launch 3G as well as smart phones for less than Rs 6,000. The most interesting aspect of their strategy is that they are targeting villages first, cities later. They want to build a strong user base first where they have a greater opportunity. Poor recall of multinational brands in Rural India and the price factor has helped them gain a good market share in these areas. Spice claims to have 18% market share next only to Nokia in Rajasthan. A new entrant, MVL plans on using road shows as part of its marketing campaign. It also plans to sell its phones through post offices. Technology has also been an important factor for these brands to develop themselves strongly. An in–built mosquito repellent, long–life batteries, dual SIM card reader, fake currency reader… they have it all. But the most important part to succeed in this highly competitive game is to innovate and that too quickly and faster than your competitors. Companies should search for newer methods of continuously reducing the product development cycle. These brands have also signed onto many Bollywood stars as their Brand Ambassadors as well as invested heavily in cricket especially the Indian Premier League [Micromax]. This is what sells in India and they feel that they could differentiate themselves by this move. The long term success of Indian handset brands depends on their differentiation, competency in smart phone development and also a strong supply chain. Foreign brands have already dismissed their competition saying that they don’t have the ability to effectively compete. But all in all the entry of these new brands has made the market all the more interesting to look forward to in the coming years. Do you think Indian handset brands can give their foreign ones a run for their money? Bought a new Karbonn A 7 worth Rs. 7000/- similar in price to Samsung Galaxy Y in price but with a few better features. I have experienced both the phones and any one who does not run for brand name will buy a phone with better specs. and lower price. when my new LAVA A10 is going very well without any problem and its awesome! Today Mobiles Phones are among luxury goods , we want a new model with new features of it at a very little time span. Looks of those equipments are more important than their functions. So we keep changing our handset very frequently . As a result while buying new ones we concentrate on price and the new companies are taking advantage of it to becoming popular. They are giving us very cheap mobiles with stylish looks . this is good to see all the coments and theire fuctionality by the bay it is very tough to decide which i get or which 0one not. i want handset that functions is very good but cost cheap. I hope these companies will also start selling phones in other countries and try to become truly indian multinationasl some day. I am still not sure about the quality of these mobiles. It is true that nowdays people look for the features and not the quality, but I think Indian companies should also focus on Quality. I admire the innovative idea by Olive Telecom FrvrOn V-G2300 A cell phone which can also run on a AAA powered battery, this handset also featured on Engadget.com (first for any Indian Company). a phone with inbuilt mosquito repellant? hahahaha… i love that. Many features with small price is the new mantra for these phones. I purchased a wi-fi handset below rs 5000. I do not want to purchase a costly phone because I usually travel in very crowded train and bus. So there is always chance to lost of damage my mobile. So I wanted a good feature phone with small price. You have hit the nail on the coffin when you say that these phones offer so many features at such low prices. That’s their best and most useful feature. The example you gave is really amazing and is proof of the fact as to why these brands are growing in popularity over quite some time. As the article suggests, they are not Indian mobiles. 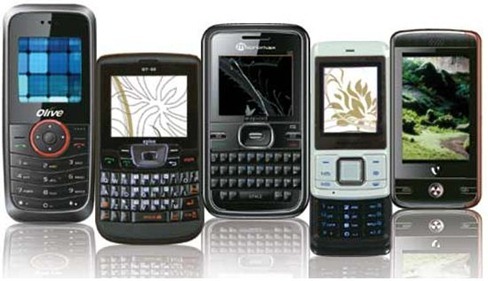 They are Chinese mobiles simply marketed by Indian companies. They dont do any value addition on Indian soil. The whole set is custom packaged for the brand name of indian company only to be sold in shops across India. I would have been happy if some Indian made mobile was getting polular. These companies are Indian in every way. The fact that they are made in China doesn’t make them entirely Chinese. And in the coming years, they maybe manufactured in India too. So I think soon we would get a chance to see Indian made mobiles too. Also, when the Apples and the Dells get their stuff manufactured in China & Taiwan, that doesn’t make the iPod Taiwanese…I think the Indian companies have been smart enough in using the already available manufacturing hubs. This allows them to target on other departments like design, marketing etc. Just a small correction, it was Maxx mobile in IPL not Micromax. Sudhir, Maxx as well as you Micromax both have sponsored various cricketing events..
@Aseem… One more thing I would like to add over here. Some of these new brands are no less in terms of promotional efforts than their larger counterparts. Take, for example, during the recent broadcasting of the Bollywood movie 3-Idiots, both Lava and MVL were aggressively targetting the movie audience – largely youngsters – as a selective promotional campaign. Right pointed out Viral. These brands have realised that Bollywood and Cricket are the best ways of reaching their target audience and that’s why they are going full on to promote their brands through this method.